I love the idea of connected devices that are smart. To me, these are the ‘things’ in IoT that add value to the user while being connected to the internet or other networks. 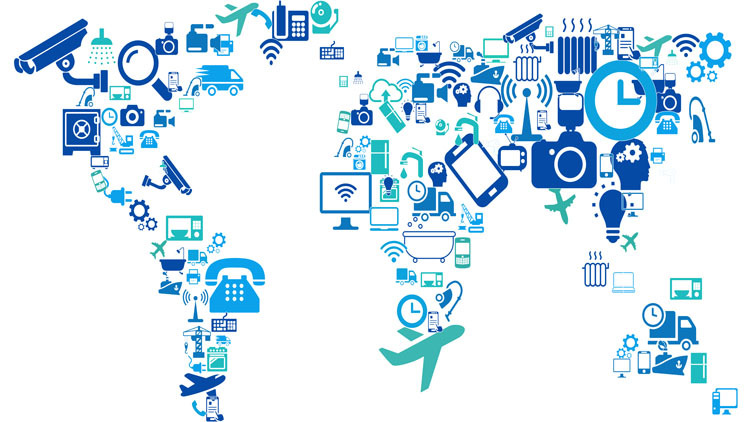 Regardless of how you define a ‘thing’, or ‘connected’, it just isn’t IoT until you add the value piece. In the consumer market, I think that value can be as easy as providing a convenience. In the industrial IoT market, however, that value often has to be tied to a return on investment. Investment decisions are weighed against actual value obtained over the time required to realize a return on that investment. These decisions are complicated, and even more so when technology is involved. Sometimes it is just hard to see and/or calculate the actual financial value of, say, analytics. To further complicate the conversation, most companies are not considering security as part of the equation, though they should be. First, some background. I was working on a solution for a large, multinational construction company that was having an issue tracking its equipment. Issue was an understatement really. This company tracks thousands of pieces of equipment ranging in size from hand tools to acetylene torches to large construction equipment. With construction sites all over the world, the company transfers equipment among these sites as the needs for equipment on each site changed. Site managers were responsible for their own inventory. The system in place? Manual tracking. I’m not even sure they used a spreadsheet, just a list of equipment written on a pad of paper. No site manager truly knew exactly what equipment they had on site unless they personally went out to verify that what was written on that pad of paper was actually sitting on their site. My team and I envisioned an elaborate system of fully automated sensors reporting not only position and location information but also health and usage data as well. All of this data collected from the myriad of sensors would flow to a central repository, would be analyzed and reviewed, and then acted upon saving the company millions if not billions of dollars per year. The possibilities were endless. A system designed for autonomy to the max – the system would be designed to not only solve their original problem of inventory control, but it would take them to the next level. Heck, it would catapult them multiple levels beyond where they ever thought they could be. From the stone age to cloud-enabled, analytics-driven business decision support overnight! We were going to be heroes. Let the ticker-tape drop! Ok, maybe that was just the scene playing out in my head because I’ve been doing this long enough to know that we were not going to convince these guys to implement a fully automated industrial IoT (IIoT) solution on the first pitch. What we were really trying to do in our first meeting with them was get our foot in the door. It had to be a value pitch, to show them the art of the possible, and not scare them away with the high risk and cost associated with implementing such a solution. We devised a á la carte menu of sorts with a variety of options across the different functions of a holistic solution so they could choose as much or as little as they wanted. When implemented, it didn’t matter what options they chose, the solution would answer their immediate need (inventory management) and provide a solid foundation for growth and scalability. The above graphic was developed to visually depict the five tasks any IIoT system should accomplish. Regardless of the industry supported, IIoT solutions need to collect data, store it, and transmit it so it can be analyzed and used. Collect: Collection of data is the starting point and the first step of any successful IIoT implementation. This is the main point of IIoT (or even commercial IoT) – to collect data. Methods range from more traditional methods of accountability including manual inventory through automated reporting of data via sensors. Store: Once you have the data, you need to store it. Different use cases for the data collected means that some data is perishable and only needs to be stored for a short amount of time. Likely, though, most data will be stored indefinitely for long-term trend analysis. Transmit: This task area represents data moving from the point of collection to storage. Methods include possibilities ranging from personal and local area networks through worldwide coverage via satellite communications. Analyze: Analyzing data is one step short of actually using it. Data is useless without context and an understanding of the desired endstate. Analysis can be more traditional and include human intervention or be more sophisticated using machine learning and artificial intelligence to extract meaning out of data. Use: This is where data becomes valuable. Data collected is converted to actionable information pertinent to the business and related to growing revenue and increasing profitability. In the scenario offered above, this means this construction company has the ability to accurately track their capital equipment. With enough investment, they can now use dashboards for real-time analysis of any number of business-related interests. From simple asset tracking to predictive maintenance which can help businesses get ahead of costly vehicle repairs. Not in the construction industry? Fear not, there is any number of substitutions that can be applied. If this (or any) company chooses only those options at the far left of the diagram, they would still have an IoT-based inventory tracking system in place. It would not be very sophisticated and might even be reminiscent of solutions offered in the 1990’s, but it would still work and have value. As the arrows at the top and bottom of the graphic depict, business value as well as complexity, cost, and time to implement increases as you move from left to right on the graphic. Businesses can maximize the value derived from IIoT solutions the further right you move. This isn’t to say there is no value on the left side of the diagram, just less than what you would as you implement solutions associated with the right side of the diagram. With this move from left to right comes an increase in complexity, cost, and the time required to implement the solution. In other words, risk increases as solutions on the right side of the graphic are chosen. In my next post, I’ll explore this risk more. Stay tuned! Previous Previous post: Ho, Ho…Hey, Get Out of My Network!